Something is coming from Loot Lake again. The center area of Loot Lake in Fortnite has changed drastically after the v8.40 update this morning. What was still an excavation site to be dug up has become a high-tech facility that’s connecting two sides of the lake. There’s a giant metal hatch in the center that’s impossible to open, and a few research buildings now surround the area. Related: Fortnite’s Air Royale mode brings back planes to the game. The huge metal hatch might hint that whoever worked on that area built an underground structure that’s being protected by the hatch. If it’s a treasure, it should be pretty big, considering it’s protected by such a gigantic structure. And if it’s a weapon or tech secret, it should be powerful as well, since it must be safe from outside damage. Unfortunately, this change was terrible for players who like to drop on Loot Lake for their matches. All chests that used to be in that area are now gone, and the entire location has now a bad place to find decent loot in the early game. For Fortnite’s storyline, this development can be tied to the end of season eight, since we’re approaching that point in the season. 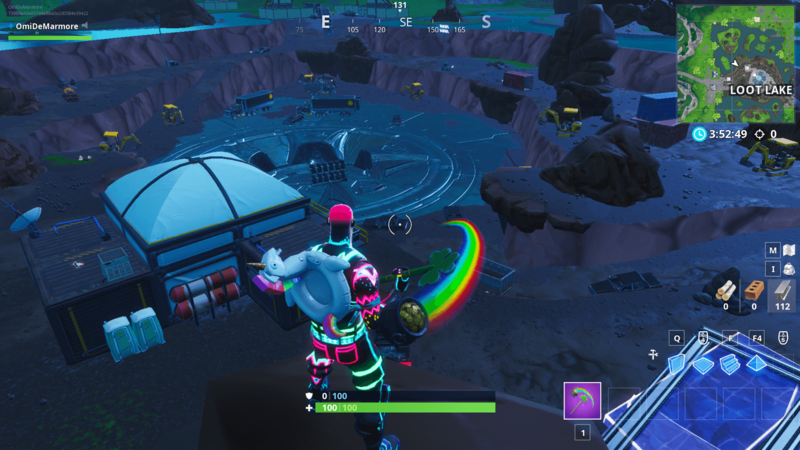 The recent leak of an underground event may also be related to it due to the recent history of excavation sites in the Fortnite island, which are the only event taking place.